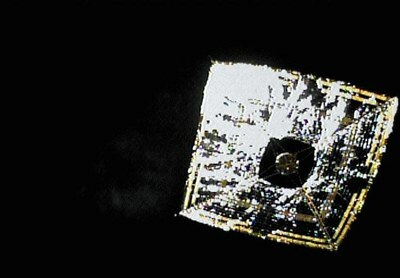 JAXA’s IKAROS spacecraft, the first-ever solar sail deployed in orbit, shown en route towards Venus (June 2010). Image credit: JAXA. The Space Review is reporting that the Japanese Space Agency JAXA recently made history with a huge milestone reached in the science of spacecraft propulsion. On May 21, JAXA launched its IKAROS craft, which moves by sailing on solar winds, toward Venus. The craft was launched with the Venus Climate Orbiter, AKATSUKI (which means 'dawn' or 'daybreak'). JAXA: "This is the world's first solar powered sail craft employing both photon propulsion and thin film solar power generation during its interplanetary cruise." JAXA's homepage for IKAROS ((Interplanetary Kite-craft Accelerated by Radiation Of the Sun) is here and the info leaflet is here. 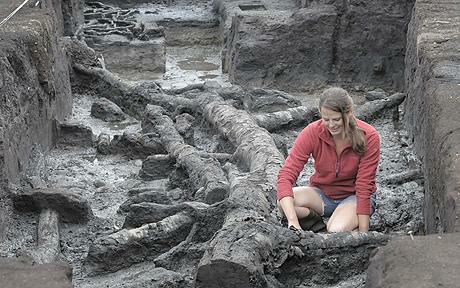 The Telegraph and the blog The Poor Mouth have picked up on an August 10 story from the University of Manchester (here) about an archaeological dig that has unearthed the oldest home in Britain. The house is so old that when it was built at the edge of a Stone Age lake, in what is now North Yorkshire, Britain was still attached by a land bridge to the continent of Europe. Krypton atom with its electrons' movement. Credit: courtesy Lawrence Berkeley National Laboratory. 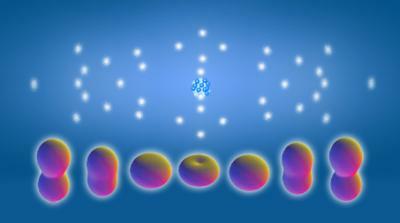 Physorg.com reported on August 4 that for the first time in history, scientists have observed an atom's electrons moving in real time: "A classical diagram of a krypton atom (background) shows its 36 electrons arranged in shells. Researchers have measured oscillations of quantum states (foreground) in the outer orbitals of an ionized krypton atom, oscillations that drive electron motion." The German-American team at Berkeley used flashes of laser light to capture the movement of a krypton atom's electrons. How fast were these flashes? Image Courtesy of the Genetics and Public Policy Center with support from The Pew Charitable Trusts. 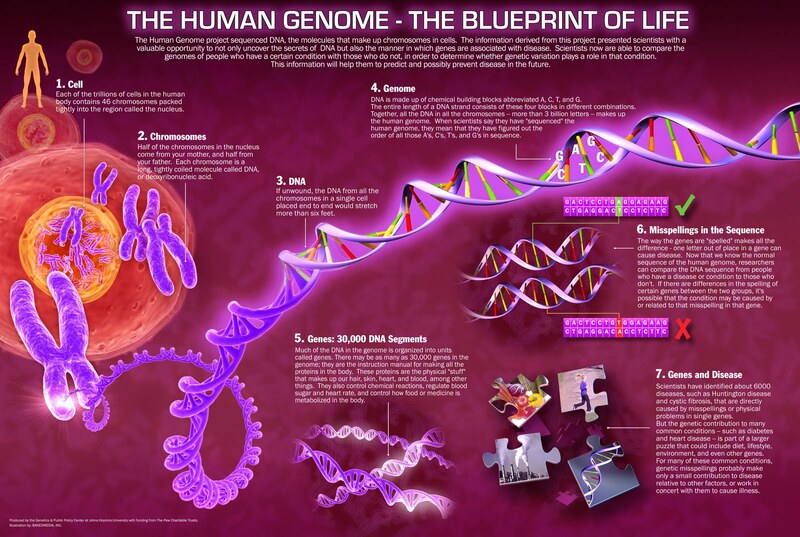 Today, the four-part series, Age of the Genome, presented by the BBC World Service - which honors one of the greatest scientific findings of our times, the decoding of the human genome - concludes. You can listen to the broadcast here and schedule times are here. June 26th marked the tenth anniversary of the discovery. The series speculates on the huge impact this research will have on medicine and our attempts to understand our own substance and history as a species. H. G. Wells: War of the Worlds. Cover by Frank. R. Paul. The blog Dark Dorset has an excellent retrospective (here) on H. G. Wells to commemorate the anniversary of his death on August 13, 1946. Known as the 'father of science fiction,' Wells's influence on authors like Lovecraft and Edgar Rice Burroughs is well known. Perhaps the best rendition of his famous 1897 story about a Martians invasion, War of the Worlds, is Orson Welles's 1938 Mercury Theatre On the Air radio production, which you can listen to here (part 1, further parts play automatically on youtube). You can read H. G. Wells's original story here and the Mercury broadcast script here. There is a resource site on the story and its adaptations here. This production was so realistic that it caused mass panic in the United States. Many people fled their homes and police switchboards were swamped with inquiries. Wiki quotes Richard Hand: "some six million heard the CBS broadcast; 1.7 million believed it to be true, and 1.2 million were 'genuinely frightened.'" Wiki: "Many listeners were apparently confused. It must be noted that the confusion cannot be credited entirely to naïveté. Though many of the actors' voices should have been recognizable from other radio shows, nothing like The War of the Worlds broadcast had been attempted in the United States, so listeners were accustomed to accepting newsflashes as reliable. The problem is that the working script had only three statements concerning the fictional nature of the program: at the beginning, at 40 minutes, and at the end. In fact, the warning at the 40-minute mark is the only one after the actors start speaking in character, and before Welles breaks character at the end." New York Times headline: "Radio Listeners in Panic." October 31, 1938. Welles had to apologize. 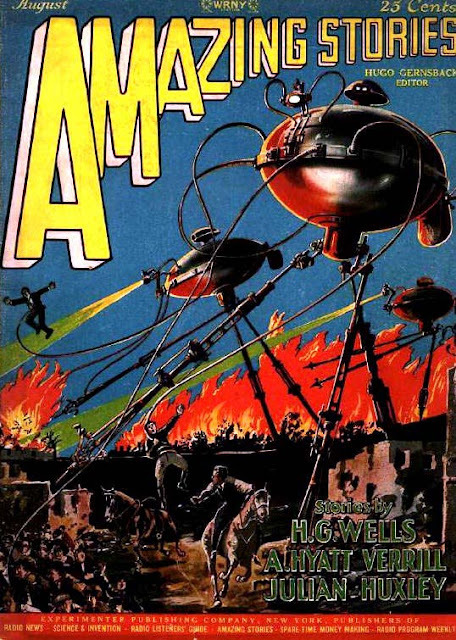 Of course the power of the production stemmed from H. G. Wells's powerful descriptions of growing disaster that were embedded in the radio script. Orson Welles's apology, October 31, 1938. I have not confirmed this, but I recall reading that legislation was subsequently passed so that dramatizations of fictional disasters always must have a repeated tagline indicating that they are fictional. The obligatory confirmation that a real-seeming drama is fictional was cleverly used in the opening of 1999's Blair Witch Project, which initially claimed to be a true story: "I'm just telling a scary story - but it's not true." The character Heather replies: "It's not true." The reverse psychology initially made the audience think that the story was true. We can trace this 100-year history of the blurring between truth and fiction, starting with H. G. Wells. A participant in the P300 study practices for the deception detection test. Courtesy Rosenfeld Lab. 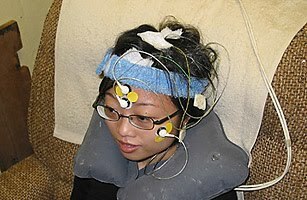 Time is reporting that Northwestern University researchers are coming closer to the infamous, oft-rumoured, conspiracy-theory-inspiring technology of reading brainwaves in order to track terrorists. 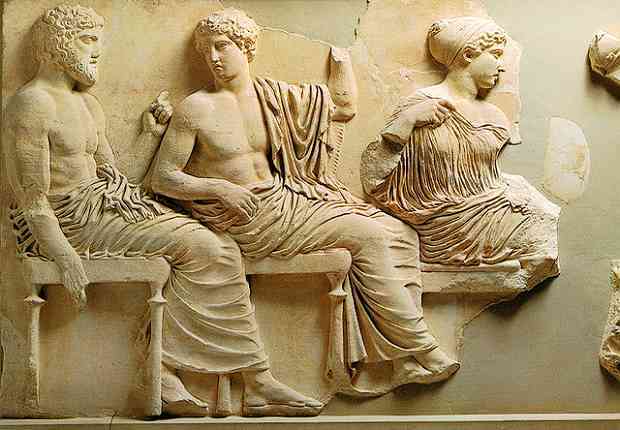 Elgin Marbles. 5th century BCE. In the 1950s and early 1960s, when optimism about technology and space was at an all-time high, a popular conviction arose that by the 2000s robots would have replaced humans to do all sorts of menial labours. This would lift people up, free them from work like scrubbing floors and digging ditches so that they could live in an idealized world eating grapes, wearing space-togas and philosophizing like cartoon Greeks and Romans.